Andre “Mr. Rhythm” Williams, the R&B artist dubbed the “godfather of rap,” has died. His label, Pravda Records, revealed in a Facebook post that Williams died in Chicago, and his manager, Kenn Goodman, told Billboard that he passed in hospice care surrounded by family. He was 82. Williams began his career at Detroit’s Fortune Records, where, in the 1950s, he became the lead vocalist for The Five Dollars. 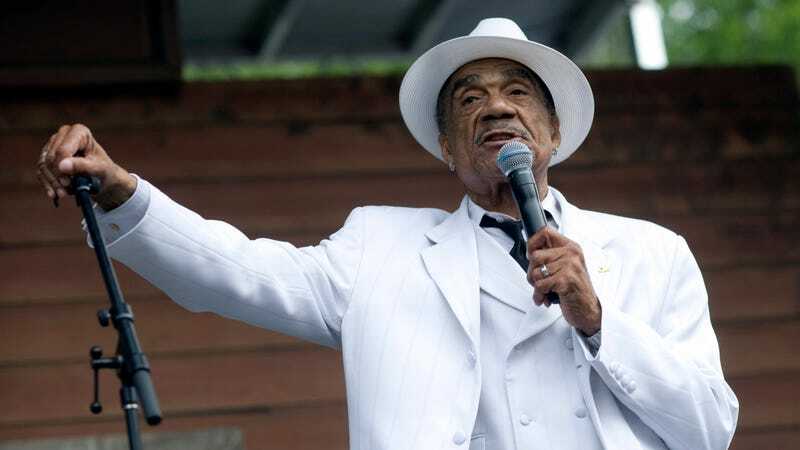 After the group was renamed Andre Williams And The Don Juans, Williams released a number of sleazy singles, including “Bacon Fat,” which landed at number nine on the Billboard R&B charts. He was also a prolific writer and producer, having co-written R&B hit “Shake A Tail Feather” in addition to working with the likes of Stevie Wonder, The Temptations, and Tina Turner. His sing-talking style and bawdy aesthetic remained a source of inspiration for younger generations, and is considered an early pre-cursor to hip-hop. Williams went on to work with Parliament and Funkadelic in the ‘70s, but his addiction struggles led him into poverty in the ‘80s. He bounced back with 1996's Mr. Rhythm and 1998's Silky and never stopped from there. He started working with country and punk acts, and even sat in on sessions with The Red Hot Chili Peppers. Since 2000, Williams has had a hand in roughly 15 studio albums, the latest being 2016's Don’t Ever Give Up.